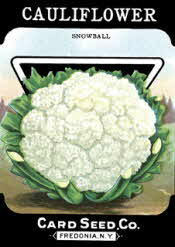 Cauliflower should be stored at 35 degrees F with the leaves still on and good air circulation. With the leaves they will last 2 weeks, without the leaves only a few days. Stir cooked cauliflower into mashed potatoes to enhance their texture. Use chopped florets in place of meatballs as an addition to your favorite pasta sauce for a delightful vegetarian pasta dish.